You may have issues receiving cellular service in certain areas under specific conditions. For example, if you are living far away from a cellular tower and you have metal roofs, you may have to buy additional equipment to receive proper signal strength. Factors such as the construction of your home, topography, and your distance from a cellular tower can all play a role in determining the signal strength you will receive. The good news is that you can combat all these different problems by making a single smart choice. 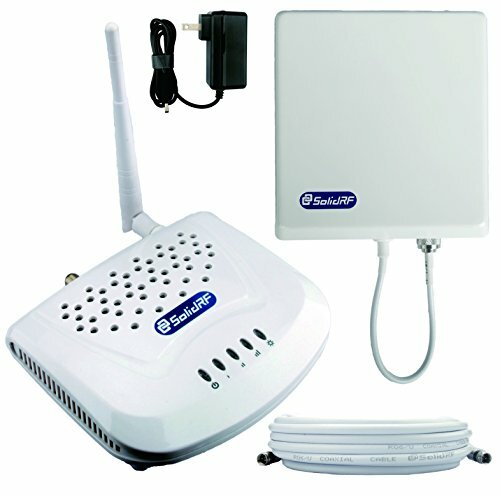 Buy the best cell phone signal booster and your life will change for good. Cell phone signal boosters are basically powerful amplifiers that enhance the signal strength. Think of a signal booster like a personal cellular tower. You can also read my articles on the best outdoor antenna, best CB antenna or top wireless routers. Unfortunately, you might have to talk to your cellular company and spend countless hours reading technical details. But there is a smarter way as well. Instead of going through all this, you can simply read our list with the best cell phone signal booster reviews and make a smart decision. Below I’ve reviewed some of the best selling and highest quality cell phone signal boosters. People around the world rely on their cellular networks to stay connected with their friends and family members. weBoost Connect 4G significantly enhances the cellular signals so you can access your emails and make calls without any interruption. It amplifies the cellular signals throughout the large home or workplace. You can connect all devices including laptops and tablets with it because it is designed to meet all the needs of its customers. The auto-adjusting gain control customizes the frequency band according to the incoming cellular signals, so you can enjoy high-speed connectivity all the time. It comes with a kit that includes all the required components for installation, such as a booster, indoor and outdoor antennas, power supply and cables. It is ideal for larger homes and workplaces because of its coverage capability of 7500 square feet. You will not miss or drop any calls due to low cellular signals. You will be amazed by the faster downloads and crystal-clear voice quality. It is time to say goodbye to slow internet, poor call quality and dropped calls. The weBoost Connect 4G-X has a strong amplifier that increases signals for cellular devices such as tablets and mobile phones. It broadcasts signals with up to +70 decibel gain that clearly connects with the cellular devices. The manufacturer of weBoost 4G-X is in the market for many years and giving a solution to cellular signal reception related problems. People of both the rural and urban areas are using weBoost products because it delivers what it claims. The external antenna captures and pulls in the cellular signals, amplifies it many times, then the internal antenna broadcasts signals to a larger area. Since it covers an area up to 7500 square feet you can rely on it for full cellular service every room of your home or office. Stop roaming around to get the strongest signals! You will probably never experience a dropped call again after the installation of this device in your home. It captures and enhances the outside cellular signals, then rebroadcasts them in any specific area of your home or office. Hence, it will guarantee no missed calls as well as you will be enjoying crystal-clear phone calls and super fast internet speed. It works with 2G to 4G networks in Canada and America. The booster allows 25 users to wirelessly connect their mobile phones to the device and enjoy high-speed connectivity. It is an ideal indoor signal coverage solution for homes and offices. The automatic gain control provides a reliable coverage even if you have intermittent incoming signals. It ensures strong signals in the coverage area so you can enjoy the uninterrupted connectivity for listening voice calls and downloading data. A nice feature is that it also protects mobile phones from viruses and other harmful websites. You can adjust the coverage as per your requirements through its three different options. The Strong Outside Signal option covers up to 1500 square feet of area, the Medium Outside Signal option covers up to 800 square feet area and theWeak Outside Signal one covers up to 200 square feet of area. Hence, you can install it for getting the cellular network coverage in the entire house as well as you can limit the coverage to your room area. Even though cellular service providers have deployed towers in the areas where they provide full coverage, there are still some areas where signals are weaker or even inexistent. Your home or office may be located in such place so you will be facing issues of slow internet speeds and poor call quality. It might be badly damaging to your business if you fail to communicate properly. You can avoid such hassles just by ordering this cellular signal booster. No coverage also affects the battery life of your cell phone because it drains the battery while searching for a network. When there is no service for your mobile, it becomes useless since you cannot make or attend a call as well as all other cellular applications will suddenly stop. It works on all major Canadian and US cellular network providers that use frequencies of 850 and 1900 MHz. This means you can use it for connecting AT&T, Metro PCS 3G/4G, US Cellular, Sprint, T-Mobile 2G /3G, etc. However, it does not support the mobile phones that use signal frequencies of 700 and 2100 MHz. If you have a quality phone but have low cellular signals, it will be worthless nonetheless. A consistent cellular service is essential for making calls, uploading and downloading data. No one likes call drops when they are talking with their business partners, friends or family. If your home or office is far from the cellular tower or some obstruction comes on the way, then you need to think about installing such a booster. The SolidRF cell phone booster is named among the strongest signal boosters in US and Canada. You will get full signals in the areas of your home where you cannot attend or make a call. Tests have proven that the external antenna of this product can capture the signals at the places where mobiles have no signal. 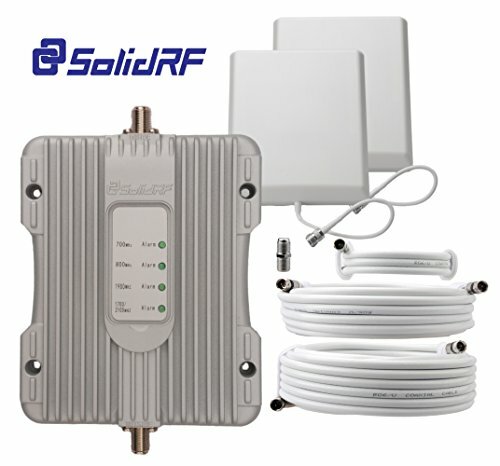 The SolidRF cell phone booster is compatible with most of the cellular service providers in US and Canada. If your cellular service has 850 and 1900 MHz then consider this item as a perfect match. Just after placing it in your home or office, you will be enjoying clear calls and faster data downloads. It rebroadcasts boosted signals in the coverage area specified fast and easy. This ensures that you will not miss or drop another important call once again. The SureCall Fusion4Home increases the strength of cell signals for ensuring crystal-clear sound quality and high speed 4G LTE data downloading. It is compatible with all American cellular network providers, including T-Mobile, Sprint, Verizon, and AT&T. Multiple users of different cellular networks can connect with the device at the same time. It reduces missed or call drops due to the poor quality of the cellular network signals. Cellular network drops due to the distance from the tower as well as topography and structural building design also affect the quality of the signals. It captures, boosts, then rebroadcasts the signals for your cellular devices. 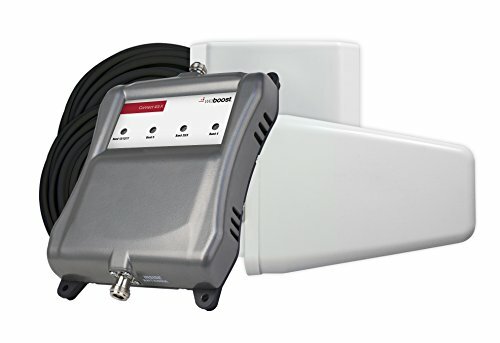 It comes with a bi-directional antenna that ensures a consistent network connection between the devices and cellular tower. So, you should never experience dropped or missed calls in your home or office due to its larger coverage area of up to 3000 square feet. The Fusion4Home cell phone signal booster is compatible with all 2G, 3G and 4G devices. It can cover up to 3000 square feet of area due to its whip antenna. Hence, it ensures you enjoy phone calls with friends or family and a better internet. Due to its wide coverage, you can enjoy a quality network in the surrounded rooms and other places at home or work. It is compatible even with an intermittent signal so it is ideal for people that are very far away from the tower or any other obstruction appears on the way. The SureCall booster is ideal for the building with 2 to 4 rooms. The external Yagi antenna provides the maximum possible boosting. Even if you are getting some signal in particular areas of your building, you will be enjoying full signal bars just after installing this device. Your uploads and downloads will become faster and the sound quality of phone calls will be clearer than before. The Cisco AT&T Microcell ensures a quality network connection to mobile phones including iPhone, Blackberry, Android, Windows Phone, etc. The installation is very fast and easy so you can set it up running by following the 10 minutes setup of the quick-start guide. Please not that it requires internet connectivity through a cable wire (Ethernet) and only works with AT&T networks. Only 4 simultaneous authorized users can access it so it is a highly secure device. Includes status indicators of power, internet connectivity, GPS signal, cell signal. The Cisco AT&T Microcell booster is the device that can solve your cell phone network issues at home and work. It is designed to boost cell phone signal so you can get full coverage every time. It mainly consists of three components: the internal antenna, the external antenna, and the amplifier. You will find a cable, as well, to connect the components together. The external antenna captures cellular signal from the nearest located tower. The signal amplifier takes them from the external antenna and makes them stronger. The internal antenna rebroadcasts amplified signals in the coverage area. As a result, you will receive better network quality and the chances of missed or dropped calls will decrease. It is a fact that there are still some situations when the network is weaker even though 4G LTE is claimed to provide full coverage. You had noticed such issues due to the distance from the cellular tower or other obstructions like buildings, hills, etc. Whenever cellular signals are dropped, people face issues such as a slow internet, dropped calls, stuck text messages and spotty reception. 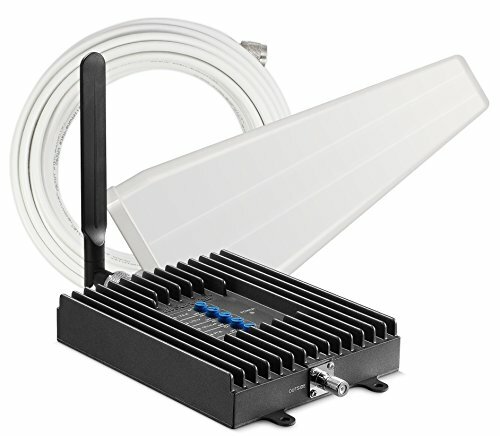 The Cisco Microcell works like a mini cell tower in your own building. It ensures full coverage so the connected people can enjoy speedy internet and crystal-clear phone calls. 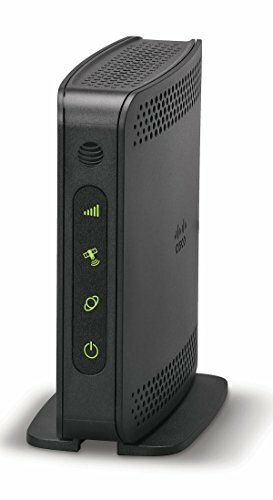 It supports 2G, 3G, and 4G AT&T networks and it is a viable solution for people who are worried of low signals in home or office. You can always face the issue of unstable cellular networks when driving a car. It might be due to the buildings, traveling away from the cellular tower and many other reasons. This issue can be solved by purchasing a cell phone booster for your car. You will not miss important business calls as well as call quality will be better. However, the compatibility with local cellular service providers must be checked before purchase. Have you ever noticed why do you miss or drop calls frequently when driving your car? It happens when your cellular signals are weak. Mostly, you face such issues when you are far from a cell phone tower or obstructions appear on the path. An obstruction might be a mountain, tree, building, or other such things that come on the path and affect the connection. Due to such reasons, signals get weaker and you face disruption during the calls or even drop or miss the important family or business calls. 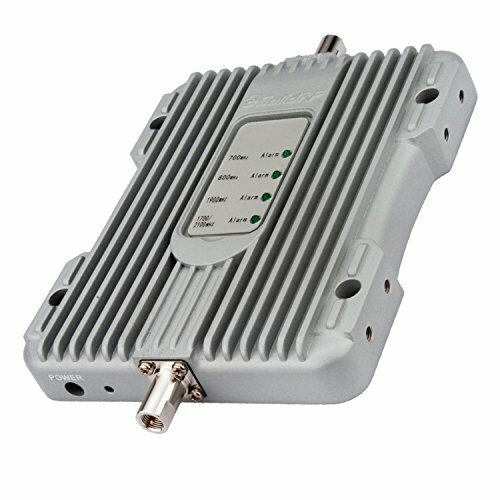 You can improve your network connection through this booster even if you are away from the tower or getting an intermittent signal due to any reason. Cell phone boosters are a new enhancement in the telecommunications industry. Before you purchase it, you need to remember some important things. It is designed to meet your requirements for the car so it will not work for larger areas, such as your house. It is compatible with US and Canada cellular networks only. You may check it’s compatibility with your service provider before the order. It will amplify outside cellular signals and rebroadcast them in the car so you can get full signals. Your downloads will become faster and the call quality will be crystal-clear. If you want to experience a high-quality network during the ride, then order it now and get full cellular signal coverage in your car.